PM scheduling should not be a headache! 1. Date based: Every N days, weeks or months. So you can have a maintenance task scheduled every 5 business days, on every Friday, the second Monday of every third month, every January on the first Wednesday and so on. 2. Meter based: There are two different meter types. In one you schedule maintenance every time a meter reading increases or decreases by a certain amount. For example an oil change when a meter reading increases by 3000 miles. The second type is a batch meter. You schedule maintenance after an equipment processes N units. For example replace a bearing every time the equipment produces 500 widgets. 3. Alarm based: You schedule a maintenance task every time an alarm condition happens. For example an alarm could be excessive vibration on a machine. You can schedule a preventive maintenance check on the machine when this alarm occurs. 4. Relative to another task: Start a new maintenance task when another task completes. For example schedule a paint job after a dry wall repair. Use this for multi-step maintenance that needs to be done by different sub-contractors one after another. 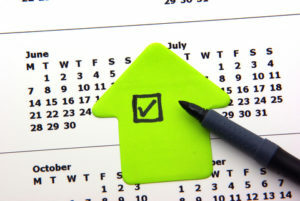 Once one sub-contractor is done, you schedule the work for the next sub-contractor. Once you setup your maintenance management program properly you will start to see the amount of reactive maintenance due to equipment breakdowns decrease. Time spent on preventive/ planned maintenance will increase. You will see cost savings in the maintenance budget due to less emergency maintenance. There will be benefits in terms of equipment availability, meeting production goals and customer satisfaction. See “Calculating CMMS Return On Investment” for more information. It gives you an example to calculate the benefits and return on investment (ROI) of maintenance management software. Try a fully functional web demo of our FastMaint CMMS. See how easy it is to set up preventive maintenance schedules for your equipment and facilities. You can also download the software for a free 30-day trial.